The weather is getting warmer here in Texas. 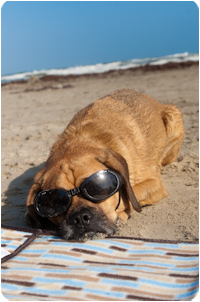 When most people are looking forward to hitting the beach, Preston’s beach season soon will be over because in a couple of months, it will be too hot for him to enjoy the beach. 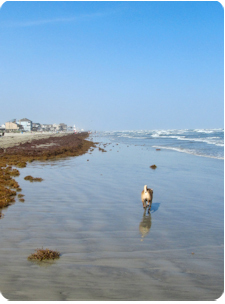 Mommy and Daddy planned Easter weekend at the beach in Galveston Island, 50 miles southeast of Houston. Where did you get that car seat! that looks great! On a side note, when you have Preston off leash everywhere you go, how does he not just run off? Max can’t be off leash, he runs off so often i can’t trust him. Is that just his personality that he stays so close? Preston, you are just too cool for words! 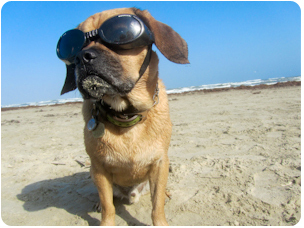 You look like a natural out there on the beach with your doggles on! 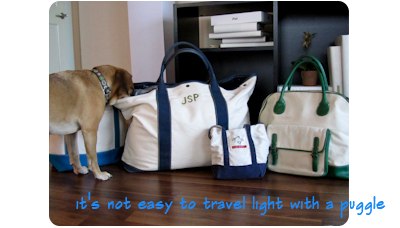 Next time you hit the beach, you’ll have to borrow my swim trunks! Glad you and your family got to enjoy the beautiful beach weather!!! Love the shades. Wish we could same the same about the weather here…but we are still in spring. How we wish we could join you on your beach blankie, Preston! I wish I could be there with you! Running around in the beach. 50 miles is quite a drive. Is gas expensive yet in Texas? It’s over $4 here in the Bay Area. Btw, what’s the brand of your sunglasses? Do you like it? Mommy is thinking to get me one to protect my eyes when riding in the car. oh preston you wear those doggles so well! 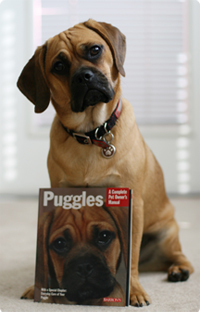 you look like one very cool puggle. that was nice of your mommy and daddy to take you to the beach before it gets to hot. hope the easter bunny found you there! Every time my Daddy sees you in Doggles, he insists on getting me a pair too. I don’t think so! You do look very cool though! I’ve never been to Galveston Beach, but my Mama has. You are so lucky to go visit when you did, as this Summer looks to be brutal in heat. As always you are too handsome! 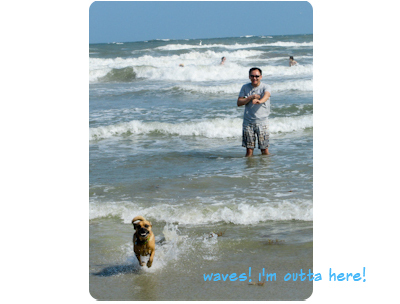 Preston ~ You are so lucky to go to the beach in Galveston. My mommy and daddy never go to the beach. We go out in our boat the Blue Dog on the Chesapeake Bay. We are going this weekend for the first time this year. 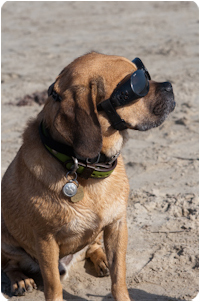 I can’t wait for my dinghy ride wearing my doggles. 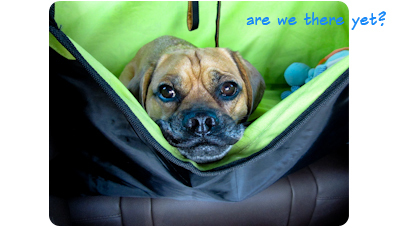 Smooches from Penny Puggle in Maryland. Awww~~~ beach!!! hopefully one day I will be there too! Preston, you look handsome with sun glasses!